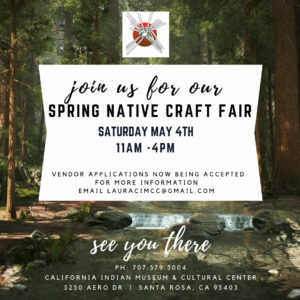 Join us for our Spring Native Craft Fair on Saturday May 4th. This event is open to the public and admission is free! If you have been waiting for a CIMCC weekend event, this is the perfect time to come!